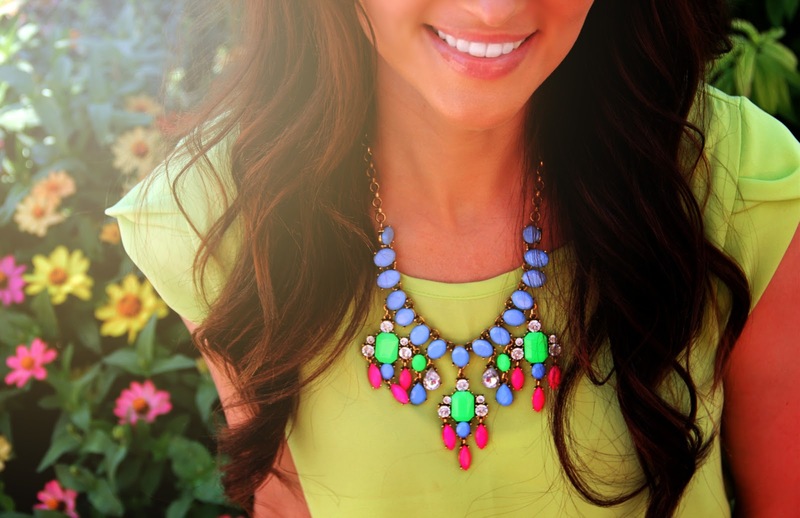 Nothing says summer like neon and sunshine! I’m dying over this neon lime top by A Lovely You and this neon color collage necklace by Apple Of My Eye Jewelry! Thank you so much! 🙂 We really appreciate all the support. Please share our blog with your friends! Thank you! 🙂 Make sure to tell your friends!